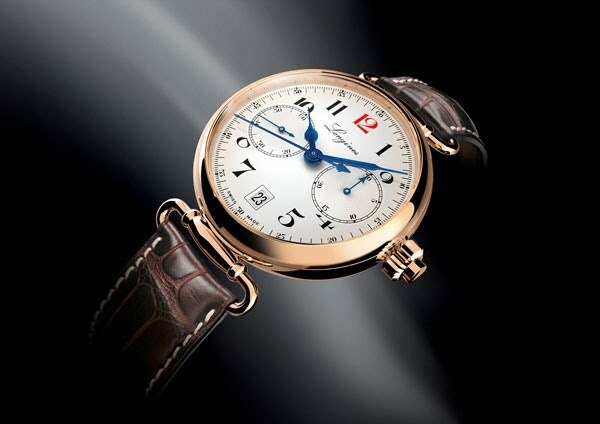 Longines is celebrating its 180th anniversary in 2012. The company based in St. Imier is taking this opportunity to present several limited-edition commemorative models representing worthy heirs to its horological expertise. Timeless elegance is in the spotlight with the Longines Column-Wheel Single Push-Piece Chronograph 180th Anniversary Limited Edition, a tribute to the first wrist chronograph developed by Longines in 1913. Its exclusive column-wheel chronograph movement, controlled by its single push-piece, considerably facilitates counting off the seconds and minutes. The subtle balanced visual appeal of its white dial with its red-painted 12 o’clock numeral is a nod to the vintage Agassiz dial, while the mobile bracelet loops are also in line with its prestigious heritage. This pink gold model is issued in a limited, numbered edition of 180.